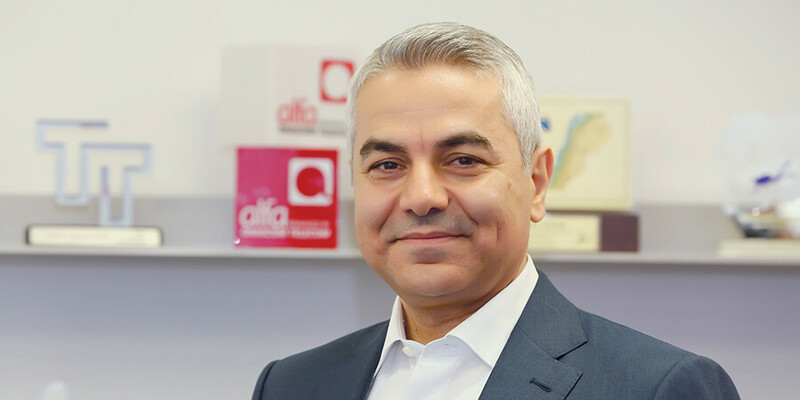 Lebanese leading operator, Alfa, has embarked on a sustainability journey to transform social beliefs into tangible actions, says CEO and chairman, Marwan Hayek. In an interview with Telecom Review, Hayek highlighted the operator’s main milestones achieved this year, including the launch of VoLTE for the first time in Lebanon and its commitment to the United Nations’ Sustainable Development Goals. Alfa launched Voice over LTE for the first time in Lebanon. How important was this step for the Lebanese telecommunications sector and for Alfa in particular? This is a major milestone in Alfa’s journey to fully transform our operations to a digital service provider, or what we call at Alfa, as a Happiness Provider (HP). The VoLTE launch, coupled with the first live 5G trial done in April 2018, paves the way for the materialization of Alfa’s vision for the future of telco. This will be elemental in Lebanon’s digital economy growth and IoT endorsement, knowing that we are the first operator in Lebanon and the eighth in MENA to roll out the service. Alfa never fails to express its commitment to the United Nations’ Sustainable Development Goals. Why is it important for a telecoms operator to be involved in such initiatives? And how is this commitment reflected on the ground? We have engineered our sustainability journey around a vision to transform all of our social beliefs into tangible actions, and to fully integrate sustainable development principles in all of our operations. We have been members of Global Compact Network Lebanon (GCNL) since 2015, fully committing to UN’s 2030 Agenda. In 2017, I joined the GCNL SDG Council as Goal Leader of SDG 9: Industrial Innovation and Infrastructure. Alfa fully committed to this goal and we are championing it nationally. We have done a lot in terms of advancing the SDGs agenda, especially SDG 9. On the technology side, we are leaders in bringing the latest technologies to Lebanon and sometimes ahead of global and regional operators. The advancement achieved has put Alfa and Lebanon in the top rankings in terms of 4G speeds, where we currently rank 3rd in the region and 27th worldwide. Our objective remains to be #1 in the region and we are fully working towards accomplishing this goal. As an active community partner, and as our commitment to SDG 10: Reduced Inequalities, one of our main focuses remain the cause of “People with Iron Will”, which is deeply rooted in our DNA as part of our CSR program, Alfa 4-Life. I am very proud to say that we have championed this cause on an international level - and from the United Nations precisely - where I recently took part in the UN Global Compact Leaders’ Summit 2018. From this platform, I reiterated the call for the use of People with Iron Will designation instead of People with Special Needs. This was welcomed by global leaders and peers who endorsed this initiative and congratulated Alfa for it. Another significant milestone in the context of adhering to the UN SDGs’ agenda and our firm commitment to it, was our e-Waste initiative launched recently, in partnership with Ericsson. A total amount of 460 tons of electronic waste, from obsolete network equipment that had reached end-of-life, was collected from our warehouses, packed in alignment with the highest standards, and exported to Sweden to be recycled as per global international environmental standards. We are proud to say that this was one of the largest e-Waste projects globally. 2018 was a great year for Alfa, including important initiatives and achieving significant milestones. What should we expect in 2019? Since we made the very bold promise to become a Happiness Provider and not just a mere Digital Provider, all of our current activities are geared towards fulfilling this promise. We are proud to have been a source of happiness for subscribers through our technology milestones, which directly contribute to that happiness; internet speed is linked to stress reduction. As we gear towards IoT, the possibilities are immense. We are eyeing 5G launch in early 2019 and our teams are fully focused on accomplishing this goal. A major milestone in our journey to transform our business and move it into content, was the launch of the Alfa Sports app. This is a first of its kind initiative and we are the exclusive broadcaster for Alfa Lebanese Basketball Championships, enabling customers in Lebanon and worldwide to watch the games through the app from their mobiles and smart TVs. We seek to expand the role of Alfa Sports to fully endorse content-based partnerships within the sports industry and beyond, any content that brings joy to consumers in Lebanon. Through such milestones, we are introducing a new innovative business model influenced by 5G and IoT. We are catering to the new emerging consumer culture which is becoming increasingly dependent on paid videos - knowing that streaming now constitutes 50 percent of the overall mobile consumption on our network. We look forward to making 2019 a new star in our journey, where we continue to change destiny and be a source of happiness to our customers and community.